I've locked the previous thread - a new fresh one. All we need now then is some fresh new snow for our thread. What's crack with Sunday.. Is it showers or a proper front... Is It defiantly going through this region or another frustrating slider that will slide past us. Its not being fully shown on the models just yet, not even on the FAX but there is a definate signal for a trough/frontal feature to move in from the west at some stage. Suspect it will be picked up tomorrow, it could be marginal for places with less height - but one to watch, it is unlikely to disrupt or slide, as the flow will be broadly westerly. Absolutely fascinating example of how marginal it actually is on the coast and also how just 50 metres altitude made the difference between rain and snow. 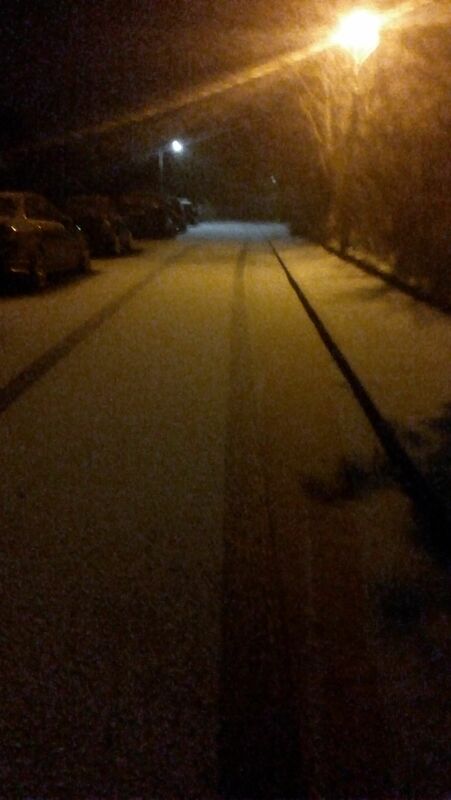 Snow photo about 75m ASL temperature 1C with dewpoint slightly below 0C. If that isn't marginal then I'm not sure what is! Sunday looks too mild for most of us I think. Yes quite an active front is picked up on the GFS at least, but dewpoints go above freezing pretty quickly. True, I've noticed it myself around here over the years - there's usually a noticeable difference in snow depth around 50m higher between places and a significant difference at 100m. But of course sometimes it depends on where bands of snow come together. Parts of south Manchester at only 30m had about 15cm of snow today but I only had about 5cm yet I'm over 60m higher because I wasn't under the heavier bands. Pretty bad out there already - snow that has had footfall and turned to slush is hard already and where it's compacted is very dangerous. 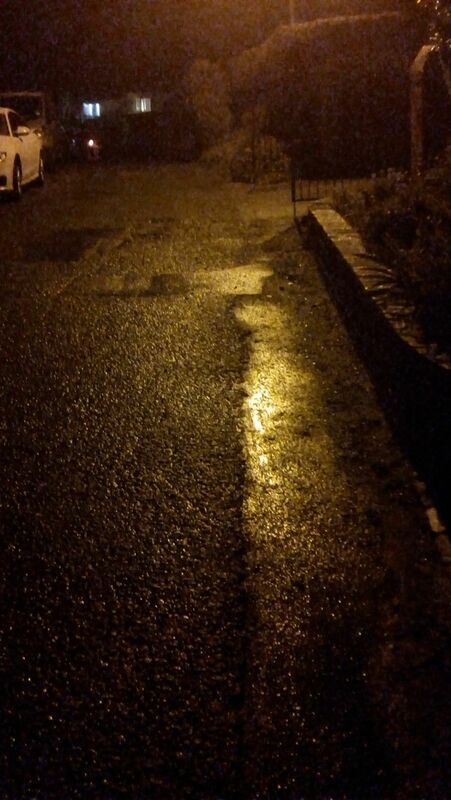 Roads that are clear glistening with frost too. Going to be tricky in the morning. Some earlier model runs looked more promising such as the 0z ukmo and the morning gfs. However, the afternoon runs went flatter and milder. Yes it does vary a fair bit, The lower part of the town there has it's own unique microclimate of sorts.. indeed the lowest temperature on record down that way is -7C yet upper town is -10.8C. All quite fascinating when it comes to snow chances. Temp now -0.6°C and plummeting. -1 now, Falling 1.2°C per hour. Around -4c here at the moment going to be a rather cold one i think. Is that a different weather front to the one we are interesting in over Southern Ireland at the minute?